Known as America’s Darling Boxer Sugar Ray Leonard was the first boxer in history to earn more than $200 million dollars during his career. He was given the title of Boxer of the Decade in the 80s where he became a household name right across America and the world. Sugar Ray Leonard was born on May 17, 1958, in Rocky Mount, North Carolina, USA. He was named after his mothers favourite singer the blind and legendary Ray Charles. He was the youngest of six children and at the age of three, he moved with his family to Washington DC where his father Cicero Leonard worked as a grocer and his mother Getha Leonard worked as a registered nurse. Ray was a shy child and his upbringing was very uneventful. He stayed home a lot, reading comic books and playing with his dog. He hardly spoke and never got in trouble at school. They all lived in a two-bedroom apartment until his father moved the family to Maryland where they lived in a house. His father was a boxer in the Navy and his passion for the sport ignited in his boys. Ray followed his older brothers around trying to learn the sport and it was here that the passion to learn boxing grew in the shy and very introvert Ray Leonard. Ray started training at the local gym half a mile away from his home and 1974 was the year when he won the National Golden Gloves and National AAU Light Welterweight Championship. The following year he won again at the 1975 Pan American Games which gave him the chance to represent America at the upcoming Olympic Games. In 1976 Ray won a gold medal at the Olympics and was crowned the best welterweight boxer globally. Unfortunately it was also a very painful time for the young athlete as this was when Ray was sexually abused by the team coach that left him mentally scared and battered until today. After his Olympic win, Ray was given a scholarship to the University of Maryland where he planned to study Business Administration and Communication, but his hopes were dashed when his father was hospitalised with meningitis and his mother suffered a heart attack. With neither parent working Ray decided to become a professional boxer. Ray had to brush up on his personality, being shy and reserved as a child he now had to work hard to make himself accessible and engaging to the public, and work hard he did transforming himself into the most adored athlete of his generation. He was trained by Angelo Dundee who trained the great Muhammad Ali and together they ruled the welterweight and middleweight division fighting greats likes Roberto Duran three times earning over $120 million, Thomas Hearns twice, earning over $100 million, Marvin Hagler once, but still earning over $44 million for that one single fight. After retirement from boxing Ray founded the Sugar Ray Leonard Foundation to support Diabetes Research. The foundation supports programmes that help people in ten cities across the United States with accessible housing, healthcare services, and educational services. 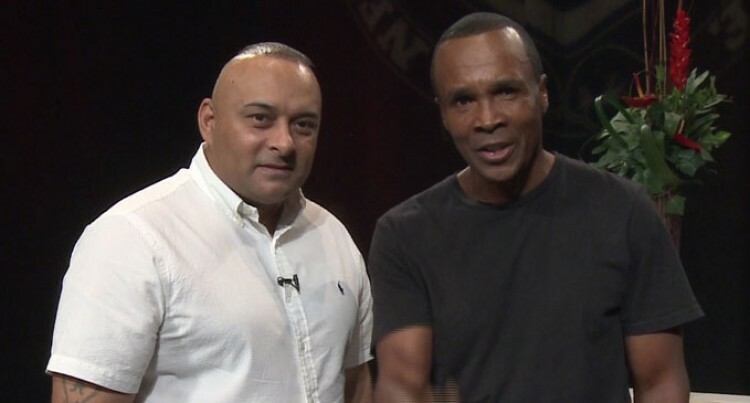 I met up with Sugar Ray Leonard in America and conducted a very exciting interview with him and found Ray to be a very sharp, witty and intelligent individual indeed. He is one of the success stories of athletes who have risen to the top, but have continued to have the wealth, health and admiration of the public at large. In fact Sugar Ray Leonard is a success story that can be used to motivate all athletes on how to conduct themselves after their careers are over.